What do french fries, sleeping in until 7am and real coffee have in common? These are all things that have been removed from my life. I didn’t remove them because I don’t like them. In fact, one of the things I liked most was a cup of coffee in bed at 7:30am! And my love of french fries was known to anyone who ate lunch with me. No, these things were removed from my life by choice. The choice was that they were not going to get me where I wanted to be — alive and active in 20 years. 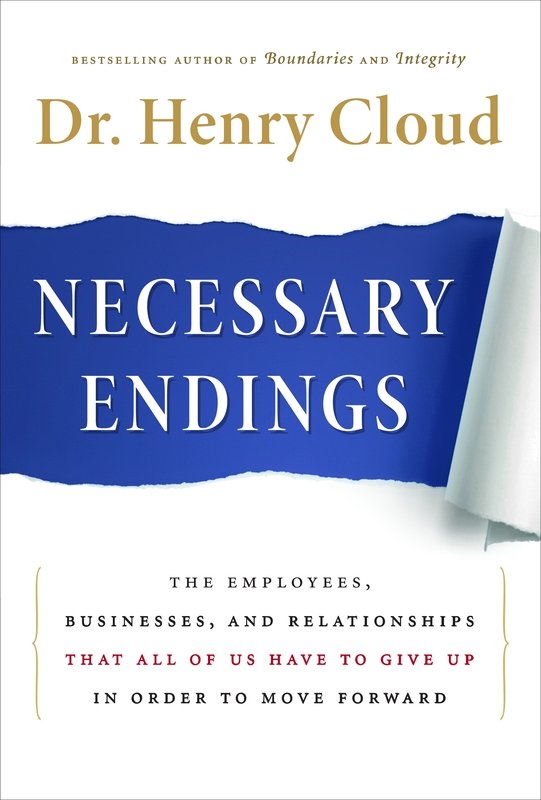 This idea brings me to a book I read a few months back, Necessary Endings: The Employees, Businesses, and Relationships That All of Us Have to Give Up in Order to Move Forward, by Henry Cloud. Now the title, long and cumbersome, seems a little harsh and uncaring – especially for church leadership. In this book, there are some really good things to remember and many of them apply well to how we do ministry together. This book makes us think about one of the toughest parts of leadership, leading through endings. The truth is if we are going to move forward, we can’t just keep adding to what we’re doing. We will have to end some things to start new things. Why do we have to get rid of stuff? He answers with two main arguments. First, “Quantitatively, we gather more along the way than we have room for.” Has this happened in your home? Over time things accumulate. And as things accumulate, space disappears. Truth is, we all need space to function. The same is true in our relationships, or our calendars… or the church calendar! Second, “Qualitatively, you can’t pour yourself into any of them with much depth.” As things accumulate we have less and less we can invest in each thing. Because we have limited resources, the thinner we spread ourselves the less we’ll be able to do things well. And if what we’re doing is important, we need to do it well. So, as we look at the role of a leader, part of it is to discern what we should end and when. Endings are a natural part of the life-cycle of all we do. We’re not talking about ending things just for the sake of change. No, we end so we can make resources available for a new beginning that will move us toward our goal. * Things that no longer fit our direction for ministry (think of the traditional Sunday night service). * Things that compete with better things for people’s time and attention (redundant activities). * Things we’re doing poorly (we’ve either lost the passion, the skill, or the resources). * Things we’re doing just because we’ve always done them (overcoming the great “tradition-god”). When we need to end things, how do we end things? Deliberately. * Decide what purposely moves us forward and what may be creating more activity. We don’t need more to do, we need more purposeful things to do. * Have the tough conversations and ask the hard questions. Don’t just let things disappear, but decide together). * We also need to care for people who have invested in ministries of the past. After all, they were part of what moved us to this place. As we move to point where we are filling in the calendar for the next year, I encourage you all to evaluate, prune and create space for new opportunities to move us toward the goal. What is something in your personal life that doesn’t fit? Is there an old relationship that is not helpful (NOT YOUR SPOUSE! 🙂 ) What on your calendar needs to go? It is hard, but there are times when good leadership means saying goodbye. Thanks, Pastor Jim. I needed to see this today. Don’t disagree . . . the painful thing is when some of these decisions are made for you by others. That’s so true. While sometimes that can’t be helped, it makes the tough questions and hard conversations more important. As leaders our goal is to make it possible to move forward together. It doesn’t feel “together”. It feels like some are being peeled off and left on the road. …and those are tough feelings. Okay, this must be a sign that I am to read this book! This is the third time today this book has been brought to my attention. I’m glad God used you to drive it home 🙂 Love you! Anonymous :Okay, this must be a sign that I am to read this book! This is the third time today this book has been brought to my attention. I’m glad God used you to drive it home Love you! Guess I should let you know this is your mother-in-law.